Some of the best recipes are those that are handed down from generation to generation. I am sure that you have some of those treasures in your recipe repertoire. I have many that have been handed down on both my side and my husbands side. My Grandma was an awesome cook and she made the most amazing potato salad. She was a tiny woman and the portions that she would place on my plate coordinated exactly with her size but her potato salad was out this world delicious!! 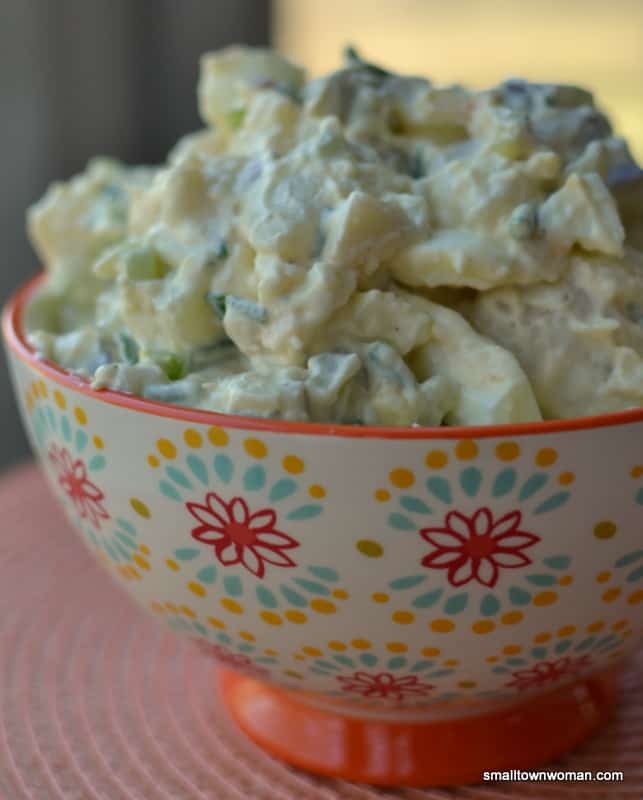 Grandma’s Creamy Dill Pickle Potato Salad is smooth and creamy and is my absolute favorite potato salad. I love dill pickles but it is equally delicious with sweet pickles. My dear late mother in law was a sweet pickle potato salad person. 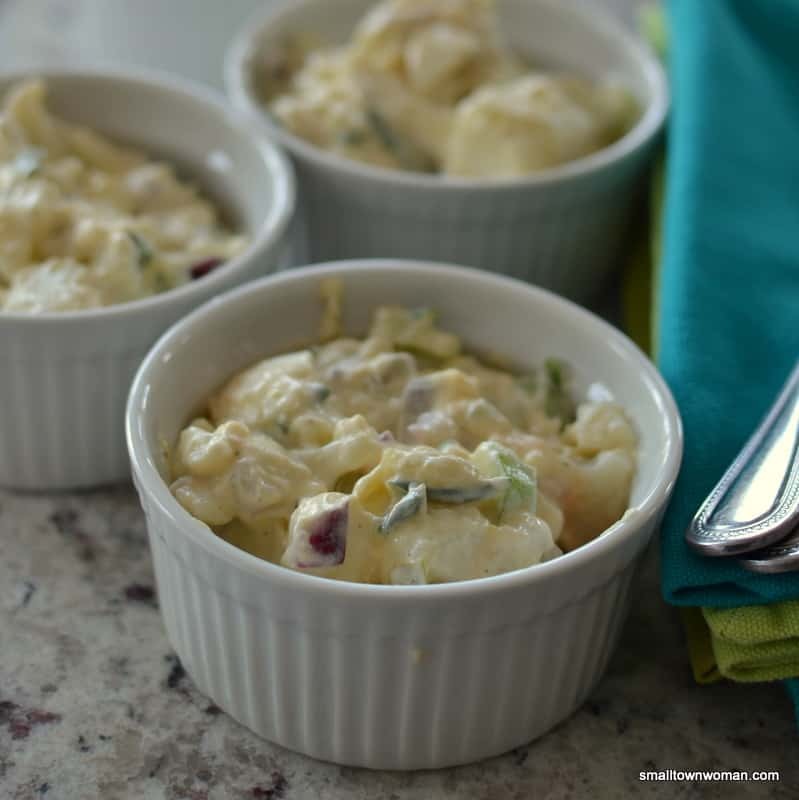 Grandma’s Creamy Dill Pickle Potato Salad combines red onion, celery, dill pickles, chives and hard boiled eggs into the dreamiest creamy mayo base. It is quick to come together and can be served right away or stashed away for a couple of days. Spring and summer are on their way. Have you tried any of my other delicious salads? Zesty Sweet Four Bean Salad, Fresh Summer Vegetable Pasta Salad and Roasted Vegetable Salad with Lemon Vinaigrette are all perfect for your next grill or patio party. Spring and summer are such a great time to entertain. I just love it!! This Creamy Cucumber Tomato Salad from Spend with Pennies is a fellow blogger favorite!! 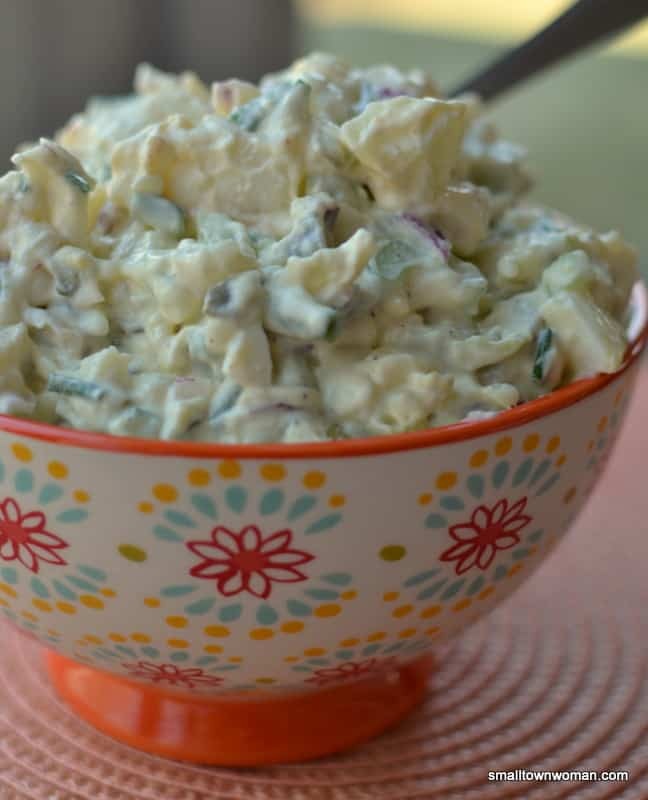 Grandma’s Creamy Dill Pickle Potato Salad is perfect for picnics, barbecues, patio parties and spring and summer holiday gatherings. Your family and guests will gobble it up and be singing your praises. Be prepared they will be asking for the recipe! Enjoy my food loving friends!! In large bowl add potatoes, red onion, celery, hard-boiled eggs, pickles and chives. 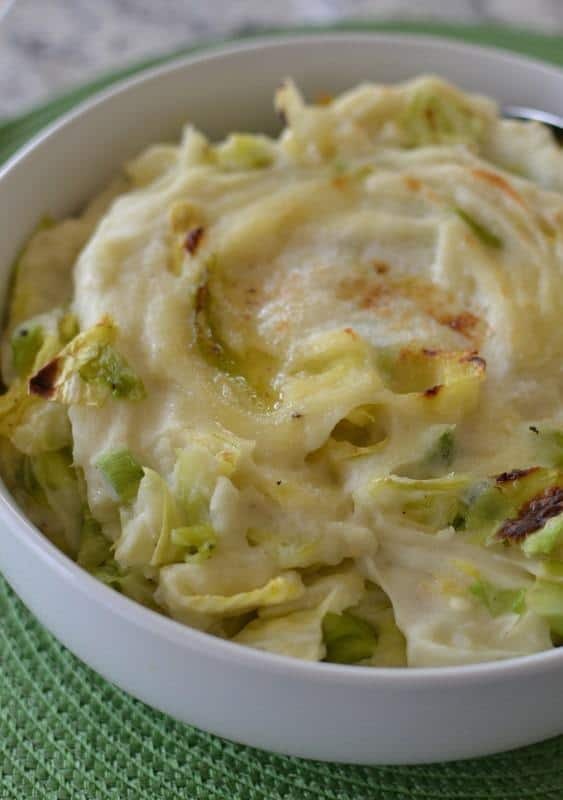 In small bowl whisk together sour cream, mayonnaise, mustard and pickle juice. Gently stir it into the potato mixture. Salt and pepper to taste. If desired sprinkle top with small amount of paprika. 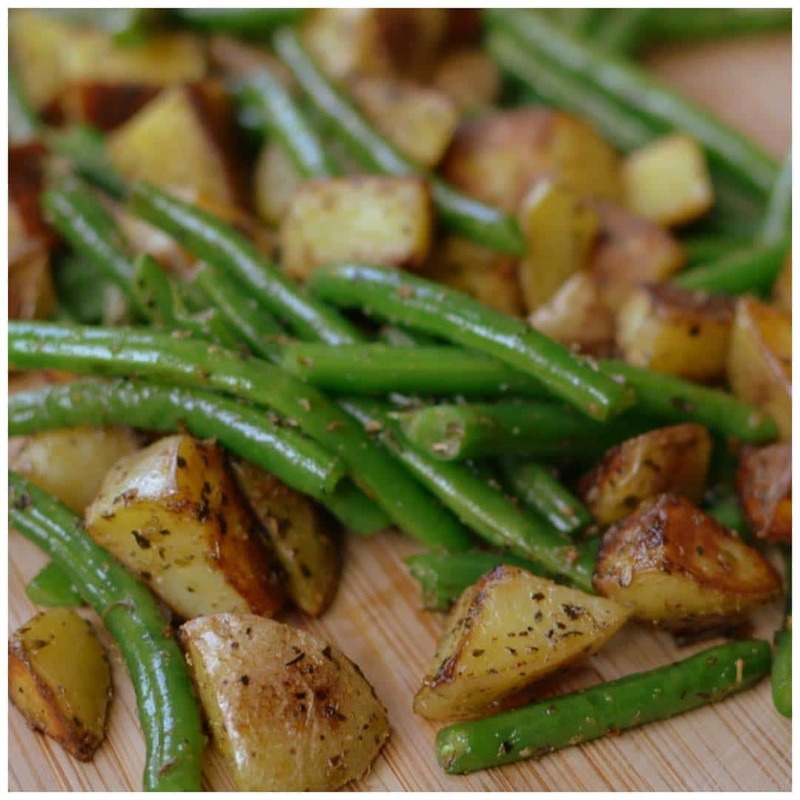 Other potato recipes you will love!! 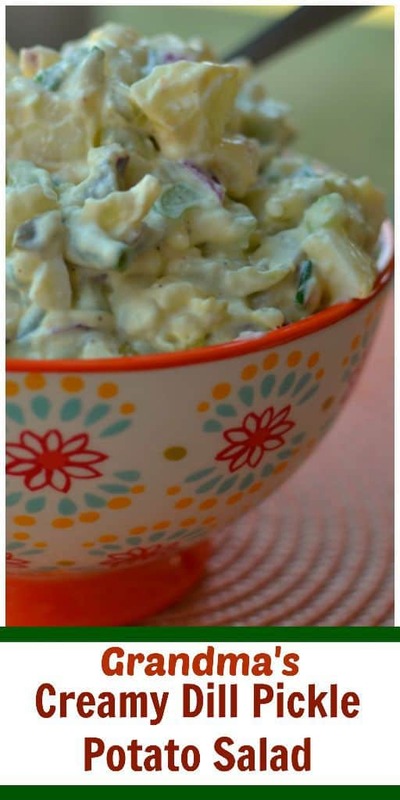 Nothing quite adds such a perfectly tangy bite to a potato salad like adding dill pickle! Thank you so much for sharing this recipe, I can’t wait to try making this at home! So true about the dill. You are most welcome! Thanks so much and have a great evening! Had all the ingredients , inspired by your posting, just finished making it—reduced amount—added fresh dill from Farmers Market this am. But want to say that I used my Danish Wire Wisk to mix the ingredients together. Marvellous tool. Do u have one? Have given to my cooking relatives & all have been pleased. Available from Lee Valley. Fox has one too. Mine is made in Poland, comes in 2 sizes. Hope u get yourself one if not already owned. Love your recipes. Thanks for the heads up! I will have to check it out!